On behalf of the ASLC Elections Committee, we would like to congratulate our newly elected members for the 2016 – 2017 academic year! 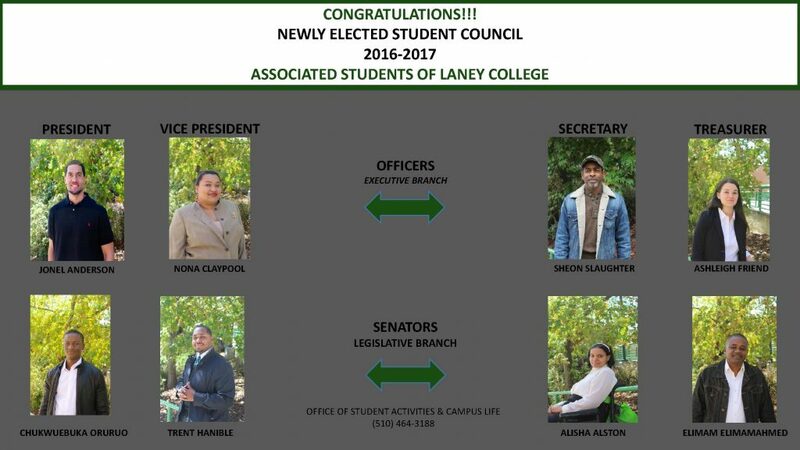 We are pleased to announce the results for the Associated Students of Laney College (ASLC). Elections took place on April 12-13, 2016 from 9:00 a.m. – 8:00 p.m. in the Student Center (2nd Floor). Thank you to our Photographer, Mr. Randolph Belle, the Elections Committee Members, Voting Poll Volunteers, and our STUDENTS!